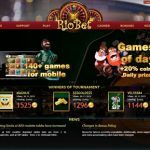 RioBet offers an astounding game catalog of over 600 games complemented by other online gambling features like daily tournaments and bonuses. 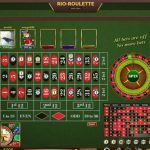 RioBet delivers a complete online casino experience with its platform designed for both real-money and Bitcoin gamblers. This website is licensed by the government of Curacao and is operated by Riotech Services LP based in Scotland. Given its location, RioBet’s main market is the European online casino players, including those who prefer using Bitcoin, regardless of their location. 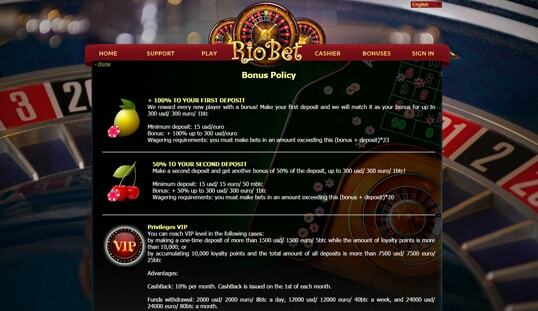 There is no question that RioBet’s main highlight is its Bitcoin casino games. Its collection surpasses even established casinos since it offers over 600 games. This Bitcoin casino’s aim is to be the premium hub for gambling where players of all preferences can wager to their hearts’ content. Therefore, included in its impressive game catalog are games under the categories of online slots, roulette, video poker, table and card games, 3D games, blackjack, lottery, and even varieties of live dealer games. 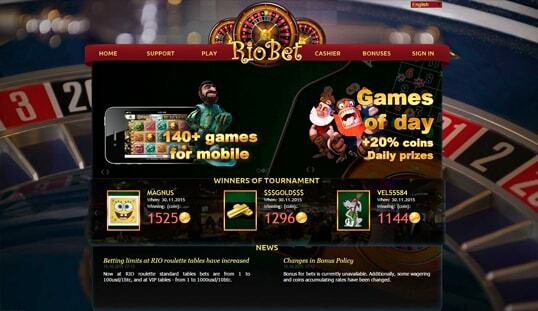 Another factor that makes RioBet a noteworthy platform is the fact that its games are produced by an all-star roster of game providers, including NetEnt, Igrosoft, BetSoft, Microgaming. With the list of developers on deck, high-quality and entertaining games combined with the proprietary games make the overall gambling experience truly worthwhile. Considering this lineup, you can expect to play on the top game titles in the market together with unique and exclusive ones that are only available in this casino. Creating an account is as simple as it gets. Bitcoin gamblers that are familiar with the traditional protocol of Bitcoin casino registration can expect the same on this platform. All you have to do is provide a valid email, username, and password. Lastly, you just have to select either RUB or mBTC for your currency. Once these requirements are provided, you may now start wagering on this platform. Deposits and cash outs are processed in a very timely manner, especially when Bitcoin is used. Although the conventional payment methods are supported here—for players who prefer real money like the Russian ruble—Bitcoin payments are readily available. Funding your account simply requires sending bitcoins to the address provided or by scanning the QR code. All deposits will be reflected on your account 20 minutes after the payment is confirmed. Withdrawals, on the other hand, charge a 1 mBTC fee and are processed on business days only. 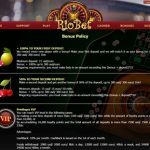 Other than offering gamblers with a wide spectrum of gambling games, RioBet is also known for showering its patrons with lucrative perks. Every new member will receive a 100% bonus upon their first deposit. This is followed by a 50% bonus when they make their second deposit. RioBet also offers in-house exclusives, such as VIP passes, birthday bonuses, and comp points, which can be exchanged for more special offers. 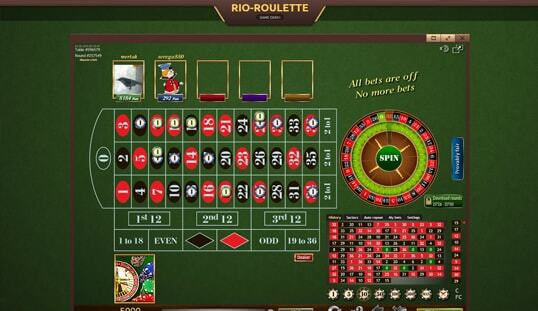 This online casino can be accessed using mobile devices. Select games are playable on a smartphone or a tablet, and there is no need to download a mobile app in order to play the RioBet games. Accessing the site in a mobile browser will suffice. RioBet has its email support up and ready for 24 hours for the entire week. Players that are experiencing glitches and technical difficulties should not hesitate in contacting this department by directly sending an email to the support team.